What are the top landmarks in Amalfi? Enjoy a stop at Amalfi Cathedral, a landmark worth seeing in Amalfi. Wander the seaside and beautiful beaches in the area. A beautifully peaceful location with stunning views of Amalfi and Ravello. 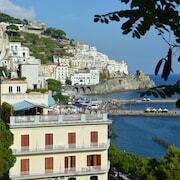 Great location for exploring Amalfi Coast without the bustle/crowds of Sorrento or Amalfi. Located within a few hundred metres from the centre of Amalfi and also the bus and boat terminals, made it an easy flat stroll after a lovely breakfast, to any of our chosen day trip destinations which included Capri, Positano and Minori by boat and Ravello by bus. Tucked away just a short walk from the main street in Amalfi over looking the town is this charming, comfortable jewell. From Almalfi town can get boats or buses to all the sights. 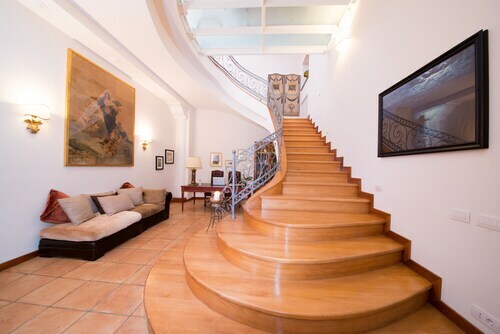 The owner is amazing. He really takes care of you and makes sure you feel comfortable. He helped me plan my day with extensive information and maps where he highlighted what I needed to know to get me where I wanted. I was a single female traveling alone and felt completely safe and comfortable. I had a great and easy stay! Clean room. Helpful staffs. Lots of stairs to reach hotel. 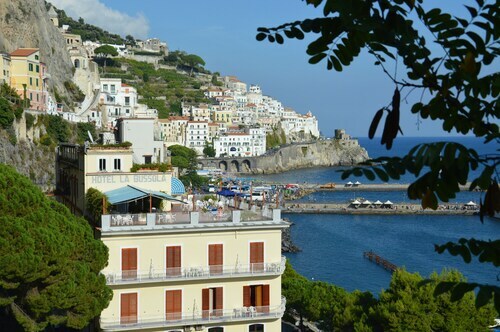 Amalfi in Italy is visited every year by thousands of tourists for its mild weather and rich history. 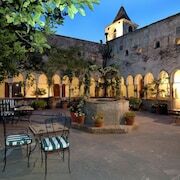 People stay in Amalfi hotels in order to see area's many historical sites, such as Duomo di Sant'Andrea and Duomo di Salerno: the beautifully preserved historic churches. 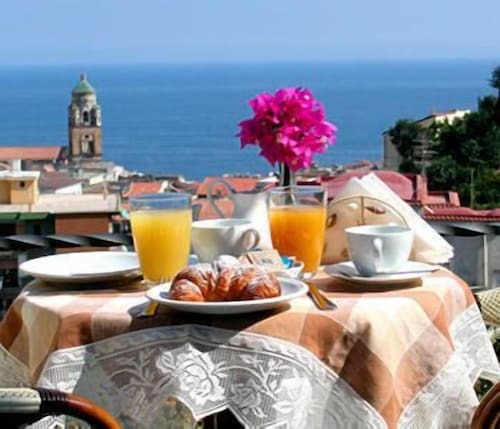 It may be expensive to stay in Amalfi, but fortunately Expedia has a number of offers on wonderful hotels in Amalfi, making it possible to stay in this amazing destination regardless of your budget. You can find great hotels for your holiday in Amalfi near many of the top local attractions, such as the fabulous Villa Cimbrone gardens. Spend the day enjoying the beautiful gardens and then return and relax at one of Amalfi's resorts, which are some of the best Italy has to offer. 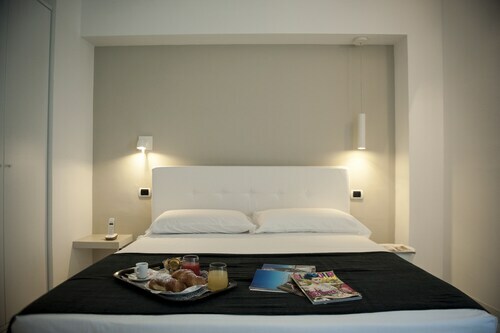 Why not book a room at one of Amalfi's premier luxury five-star hotels to make your stay even more enjoyable. After spending the night at one of the top hotels in Amalfi, you’ll be ready to hike along the famous Sentiero degli Dei (Path of the Gods). This area is known for its enchanting views, as well as wildlife that is not seen anywhere else in the world. You can also book a hotel in Amalfi near the beautiful Spiaggia del Fornillo. This beach is perfect because it is neither too big nor too small. The beach offers visitors everything from an easy rest under the sun to an exciting day filled with water sports. 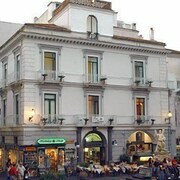 There are also favourable special rates for those staying in Amalfi’s hotels. When you’re all tuckered out and food calls, find yourself one of Amalfi’s beautiful restaurants and try one of the specialties of the day (many of which have been taken from the clear blue sea that very morning) for a true gourmet experience in Amalfi. Amalfi is truly the perfect Italian holiday destination for people who love history and those looking for an amazing beach holiday. Italy is a great location for a beach hotel. 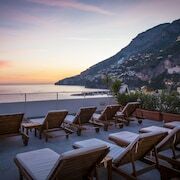 If you like beach hotels in Amalfi then you're sure to love our cheap beach hotels in Sorrento or our Capri beach hotels. Book with Expedia and find out why for yourself. Explore Amalfi with Expedia's Travel Guides to find the best flights, cars, holiday packages and more!